B. T. Roberts, Broker, is an owner of Roberts Brothers Commercial & Property Management, Inc. and has over 30 years experience in commercial sales and development of real estate and holds a CCIM designation. A graduate of Auburn University, BT has served as president of the Mobile Area Association of Realtors and 1999 president of the Alabama Association of Realtors. 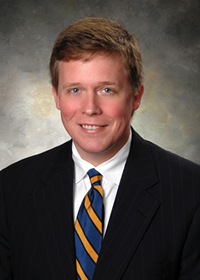 He has served as a Director of many local, state, and national boards including the Mobile Area Chamber of Commerce, Metropolitan YMCA, SouthTrust Bank (Wachovia), National Association of Realtors and just completed a seven and one-half year term on the New Orleans Branch of the Federal Reserve Bank of Atlanta. David Roberts, Jr., Broker, is an owner of Roberts Brothers Commercial & Property Management, Inc. with over 30 years experience in the real estate business. 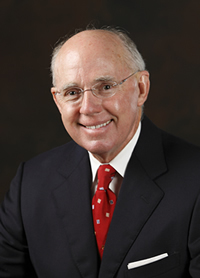 A graduate of Auburn University and a past chairman of the Auburn School of Business Advisory Council, he is a former president of the Mobile Area Association of Realtors, the Institute of Real Estate Management and was 1994 President of the Alabama Association of Realtors. 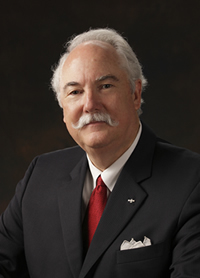 He holds the CPM and GRI designations and has served as a Director on many boards including the Better Business Bureau, America’s Junior Miss, National Association of Realtors, American Heart Association and the National Board of the Boy Scouts of America. 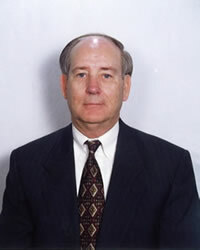 Bud Jones, Associate Broker, has over 31 years experience in Commercial Real Estate sales and property management. After retiring from the United States Military as a Senior Pilot, Bud worked one year in the residential sales division before transferring to commercial sales. Bud has been recognized as a member of the Million Dollar Club every year that he has been in the real estate profession. Bradford Ladd, an Associate Broker and Vice President of Commercial Sales and Leasing, has over 13 years of real estate experience on both the brokerage and development side of the real estate business. exclusive industrial & office brokerage work at NAI Brannen Goddard, Atlanta, GA, where he was in the Atlanta Commercial Board of Realtors Million Dollar Club each year. Bradford is actively involved in the community, serving on the vestry at St. Paul’s Episcopal Church, the Board of Directors of Goodwill Easter Seals of the Gulf Coast and the Child Advocacy Center and serves on the Mobile Historic Development Commission’s Architectural Review Board. 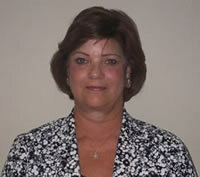 Shelia J. Shoub has lived and worked in Mobile over 45 years and has been practicing real estate over 30 years. She began her real estate career in the residential sales division before transferring to property management. She now manages the Residential Property Management Department. Grace Turner Pond is a graduate of McGill-Toolen High School and earned a BA degree in Marketing/Communication Arts and a BS degree in Education from the University of South Alabama. She worked as a DJ at a local radio station while in college and taught over 250 children during her 12 year teaching career. Grace started her Realtor career with Roberts Brothers, Inc. in 2002, and joined Roberts Realty Group in 2015. The best way to contact Grace is on her cell phone (251-232-8903) because she is constantly on the go, working hard for her Buyers and Sellers. 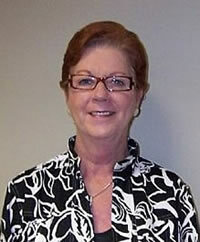 Grace has earned the Senior’s Real Estate Specialist and Short Sale & Foreclosure designations. 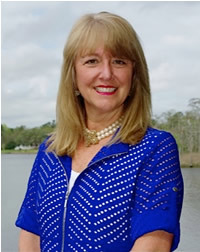 She has served on the Government Affairs Committee with the Mobile Board of Realtors, a former member of the Junior League of Mobile, and a past Board member of the University of South Alabama Alumni Association. 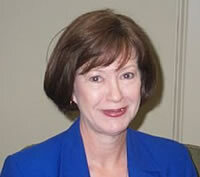 She is a member of the Mobile MLS system and the Baldwin County MLS system. Grace can be reached at grace@GracePond.com and is ready to help you with all your Real Estate needs. Assistant to B. T. Roberts. Assistant to David D. Roberts, Jr.